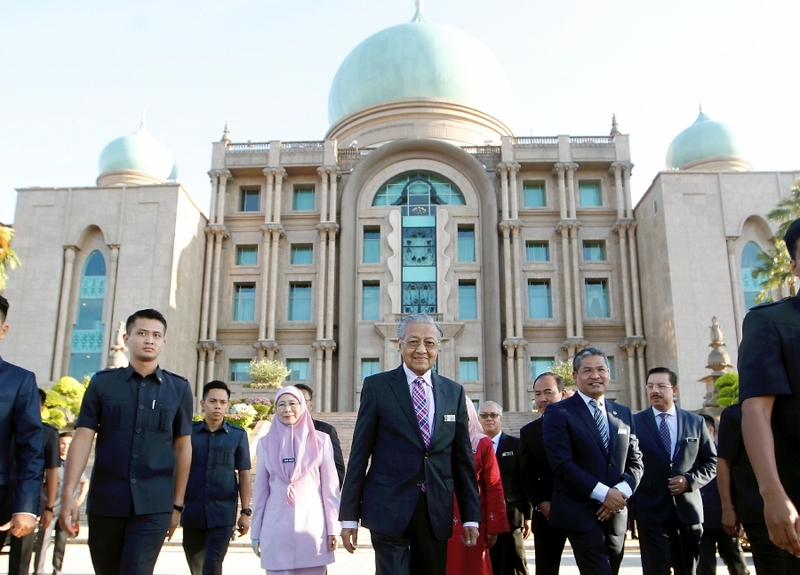 PUTRAJAYA: The Prime Minister’s Office (PMO) today announced the appointment of 16 members for the Economic Action Council (EAC) which would be chaired by Prime Minister Tun Dr Mahathir Mohamad, effective immediately. Aside from Dr Mahathir, other members include Economic Affairs Minister Datuk Seri Azmin Ali; Finance Minister Lim Guan Eng; International Trade and Industry Minister Datuk Ignatius Darell Leiking; Works Minister Baru Bian; and Prime Minister’s Economic advisor Dr Muhammed Abdul Khalid. Others are former International Trade and Industry Minister Tan Sri Rafidah Aziz; Permodalan Nasional Bhd chairman Tan Sri Zeti Akhtar Aziz; Council of Eminent Persons (CEP) member Professor Dr Jomo Kwame Sundaram; Public Bank managing director Tan Sri Tay Ah Lek; and Majlis Amanah Rakyat chairman Dr Hasnita Hashim. The rest are Bursa Malaysia chairman Datuk Shireen Ann Zaharah Muhiudeen; Asean Business Advisory Council, Malaysia chairman Tan Sri Dr Mohd Munir Abdul Majid; Federation of Malaysian Consumers Association (Fomca) chief executive officer Datuk Dr Paul Selvaraj, lawyer Bah Tony @ Amani William Hunt Abdullah and Masa Depan Malaysia (MASA) Institute board of trustee member Nizam Mahshar. The government’s decision to form the EAC had been mentioned by Dr Mahathir recently, saying that the council was tasked to examine and decide on economic and financial affairs as well as the people’s welfare. “The council was formed to respond and act on feedback of the people regarding problems they had been facing, particularly matters related to economy. “The key objective of the council is to encourage and stimulate sustainable economic growth, equitable distribution of wealth and further enhance the people’s wellbeing. “The council will also look into issues related to the cost of living, employment, poverty and home ownership,” the PMO said in a statement. The Prime Minister’s Department Implementation Coordination Unit would be the secretariat for the EAC, it added.